What I really think: While not something I'm personally wild about, I'll definitely buy a copy because my students will be glad to have it. Definitely a better choice of an animal adventure story than the sad and confusing Pax. The March family lives in a brownstone in the city. Their mother is a harried hospital nurse, and their father is fighting overseas. Things are economically tough, and each girl has their own wishes for Christmas that don't come true. Jo, whose biological father left when she was a baby but who was adopted by Robert March when he married her mother, what great literature. Meg, the oldest, wants the latest fashion. 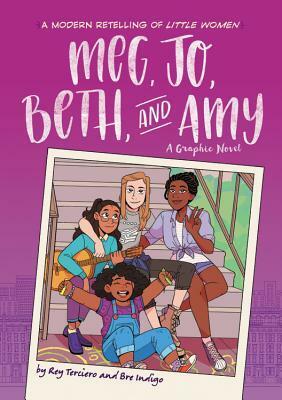 Beth, the quiet musician, wants her own guitar, and bratty Amy just wants everything. When wealthy neighbor Mr. Marquez invites them to share Christmas dinner with him, they meet his grandson, Laurie. There are triumphs and tragedies along the way that echo the ones in Alcott's book but are modernized. Several things do change, such as the trajectory of Beth's disease and of Meg's romance, and a surprise announcement from Jo. Strengths: The events are convincingly updated with added diversity. The characters stay fairly true to form. The illustrations are quite nice, and the colors are good. There are some e mails and journal entries that help explain some more complicated events, like how the family was created. It remains, as always, a good tale of sisterhood and finding yourself in the face of adversity. Weaknesses: Readers who love the original won't necessarily like some of the updates, but since few people under the age of 50 have read the original, it's not really a concern. What I really think: I didn't buy Schaefer's 2017 Littler Women: A Modern Retelling and Baratz-Logstead's 2012 Little Women and Me doesn't circulate too well (although it is SUPER clever and fun). The Anne of Green Gables graphic novel I have goes out occasionally, but it's a paperback and doesn't have this look to it. If your library can't keep Telgemeier and Jamieson books on the shelf, this would be a good purchase, but I don't think it will necessarily encourage readers to pick up the original. I prefer updates to original stories that are more along the lines of Jason Henderson's Young Captain Nemo-- more reimaginings than retellings. Mile and Niles, pranksters extraordinaire, are back for their last year at their school. They start the year off right, with some mild shenanigans on the bus, and are somewhat surprised when Principal Barkin calls them into his office. For once, they are not in trouble; Barkin just wants their help in upping his own pranking skills, which he has been trying out, not very successfully, on the staff. This comes to a halt, however, when the superintendent of the school dies and the elder, former principal Barkin becomes the superintendent! Undeterred by the nimbus like bullying behavior of the youngest Barkin, Josh, Miles and Niles set out to pull as many amusing and sophisticated pranks as they can, including declaring a Bring Your Pet to School Day that is rather successful. Things can't always go on the way they have been, and the duo gets some bad news. 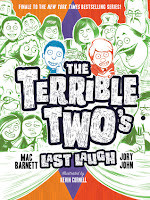 Will the end of the school year mean the end of the Terrible Two? 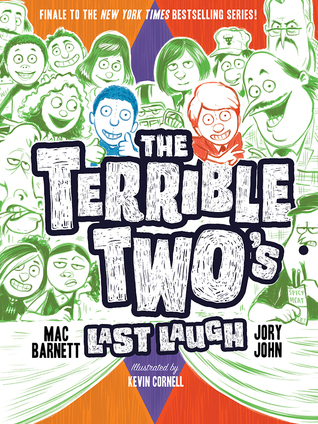 It is an all too common theme in middle grade literature to have the school principal be either a doofus or evil or both, and it was delightful to see Principal Barkin see the joy in pranking and seek advice from the best two practioneers of it! He had experienced some personal growth in the last book, but really comes in to his own here, even expressing admiration for the very first prank involving his hatch back. It would have been asking too much for Josh to also see the light, but my favorite part of this was Principal Barkin trying to come up with pranks that he could successful pull, and Miles and Niles instructing him on what "grace notes" to pranks would be! The pictures capture the frenetic glee with which Miles and Niles go about their day, and add a depth to the characters. Superintendent Barkin's evil character is reinforced by the pictures of him in his striped suit, holding bolt cutters menancingly, and Miles and Niles friendship is shown in simple glimpses of them sitting under a tree or touching fingertips after a prank. There is even a light romance that is shown mainly through the pictures. Yawnee Valley is a great town, and the descriptions of the local cows and small population are somewhat different than the typical middle grade novel setting. I'm not sure that any rural populations are going to be glad that their cows are painted with green and purple polka dots, but the tone of these novels is flippant and jovial enough to almost make me believe that they would find tourist opportunities to showcase these colorful animals. Notebook novels are always a popular middle grade choice, and readers who have burned through Peirce's Big Nate, Berger's Lyttle Lies, Moore's King of the Bench series and Bergman and Scotts' Zits novelizations will enjoy reading about Miles and Niles exploits... and maybe even trying to recreate them! Zach and Evie Mamuya's mother is an investigative reporter in Minneapolis, so they get dragged along to a burglary at Sophie's house. Sophie's parents are great philanthropists, and they have allowed her to auction off a family heirloom, the North Star diamonds, the raise money to help the gibbons at the zoo. The necklace goes missing at the pre-auction showing party, and that's when Zach, Evie and their friend Vishal arrive. They meet Sophie in the garden, and the four start to investigate. They find things out of place, information about the safe from which the necklace was stolen, and uncover activities of key suspects the police aren't really even investigating. They pay special attention to Sophie's great aunt Marguerite, especially her much younger tennis pro boyfriend and newly hired servant, Derek. They also investigate Gideon, whose activities seem very suspicious. Luckily, the group's investigations help the police run the criminal to earth, and Sophie is able to auction the necklace off. 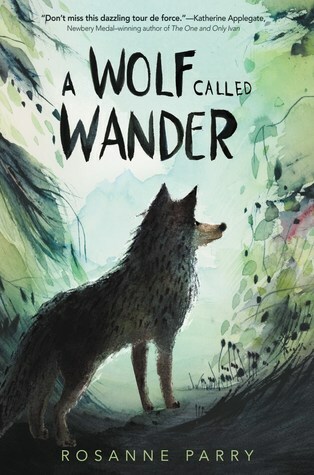 Strengths: I love the cover, and the interior illustration are great and add a lot to the story. I miss spot illustrations like the ones widely employed in the 1950s-- the books of Cleary, Eager, McCloskey, Norton, and Robertson all had them. Sophie's altruism is great, and while her family has a lot of money, she works on being accessible to her new friends (even though she has her own driver). The police look a bit incompetent (even though the Mamuya's father was one), and the children, of course, save the day. Weaknesses: Apparently, I watched WAY too much Scooby Doo as a child; doesn't Sophie on the cover look a little like Velma? The cast of characters is right out of an episode (Tennis pro gold digger? Manservant? Great aunt who is all of about 50 who is channeling old women movie characters of the 1940s? ), there's a diamond necklace (okay, it was a good explanation, but how many kids' families just have those lying around? ), and the chapters had James Patterson-like cliff hanger endings that made me think the next chapter would start with someone saying "Jinkies!" These elements are employed in Lewis' Club CSI Mysteries, and my students like them, so clearly their parents shielded them from Shaggy and Scooby more than mine did, and they won't care! 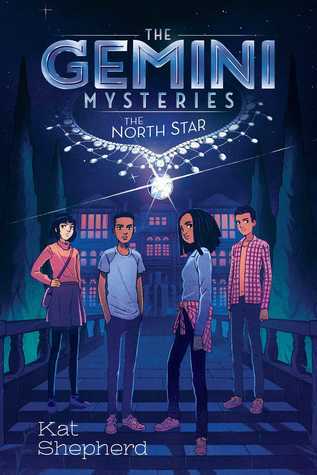 What I really think: I definitely need more mysteries, and the cover of this one is great and the illustration is more teen than elementary. This will work well for reader's of the new Nancy Drew Diaries and Phoebe River's SaraNormal, although the cover will also appeal to boys a bit more than those titles do. Will probably purchase, along with the sequel that comes out in December, The Cat's Paw. What I really think: This will be popular with elementary students who enjoyed Buyea's Because of Mr. Terupt, Korman's The Unteachables, Palacio's Wonder, Woodrow's Field Tripped, Woodson's Harbor Me, and other books that include a cast of characters that represent a variety of current cultural talking points or with fans of Varnes' Property of the Rebel Librarian and other books where the teacher's job is imperiled. However, I'm sending my copy over to the elementary school, because I think it will get more use there. We meet up again with Aru and Mini after The End of Time and plunge right into the action. The Night Market is filled with zombies, and Aru sees another Pandava fighting... her. Clearly, it's a shape shifter in Aru's form, but that doesn't keep Brynne from being very angry at Aru when it turns out the bow and arrow of Kamadeva has been stolen. Not only that, but Aru, Brynn and Mini, as well as the pigeon-tutor Boo are blamed! Uloopi, the naga queen, sentences the group to retrieve the bow and arrow or to be exiled from the Otherworld! Brynne is hostile and doesn't seem like a great travel companion, but it's even worse when Aiden shows up to help in Boo's place, and Aru can't get over the time she sounded like an idiot in front of him. With only eight days to retrieve the stolen goods, however, there is no time to waste, and soon the group is headed on a magical quest to the naga realm on enchanted gazelles! Aru needs to find the thief's name, speak it, and will then be able to locate the stolen items. This quest takes the group through many portals, and they must talk to many different characters to obtain the information and artifacts they need. Mini is kidnapped and taken to the land of sleep, so on top of everything else, Aru must rescue her. At one point, they are in Little India in New Jersey, and are soon off to enter the Ocean of Milk to try to get an item that the thief is also seeking. This leads to an epic battle between the thief. 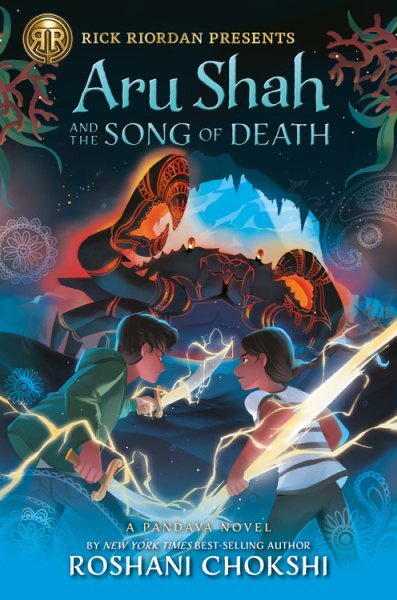 Since Aru Shah and the Tree of Wishes is due out in spring of 2020, I don't think it's much of a spoiler to say that Aru's side manages to win. Strengths: Of all of the Rick Riordan Presents books, this channel's Riordan's own work the best. 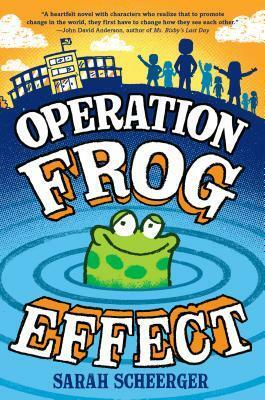 Immediate action, great humor, and a formulaic quest will keep middle grade readers desperate for the next installment. There are mythological creatures sprinkled through the whole book, and a very helpful glossary of terms and people at the back. The characters are all very different and engaging, and of course Brynne becomes less hostile. Her love of food is a fun touch, as is a secret about Aiden's past lives. There is also plenty of backstory scattered throughout-- Aru's mother and her unwillingness to discuss her father and Mini's parents' pressure on her to become a doctor as well as a first rate Pandava-- but it never bogs down the plot, which is a sign of great writing. Weaknesses: There are a LOT of characters, and it's always a struggle for me to keep all of these, as well as all of the locations on the quest, straight in my mind. I'm also never sure where the line is drawn between Indian legend/ mythology and Indian religion, and wouldn't mind a note to that effect in a future volume. I imagine many of my students also would benefit from an explanation. What I really think: Definitely purchasing, and looking forward to meeting the other two Pandavas in the upcoming volumes. When Lizzie's father is arrested for embezzling from his company, she and her mother are not able to keep their farmhouse. They move to a nearby town where people won't know them, and end up staying in the Good Hope family shelter. Lizzie finds it stressful and challenging to keep people from finding out about her past, and takes great comfort in walking through the woods near the shelter and watching people riding in the fields of the stables there. When her mother gets a job, Lizzie says that she will volunteer at the library, but also uses this as cover to spend time at the stables. The staff their are friendly and understanding, and give her an application to work in the stables in exchange for lessons. When school starts, she meets Bryce, who has just moved from the west to live with his father after his parents' divorce. Bryce has his own horse, and is with his father because he was promised riding lessons, but his well-to-do father doesn't really approve of Bryce's desire to learn dressage instead of Western riding. Lizzie understands having difficulty with a parent, since her father does not contact her and her mother when he is released on bail, which was paid for by another woman. 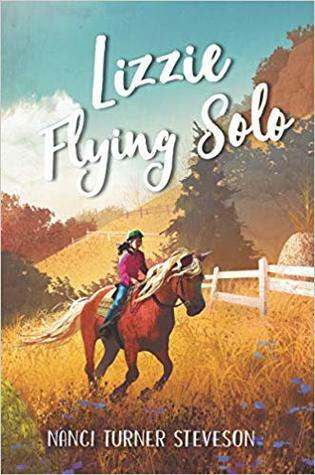 Lizzie falls in love with Fire, a new horse that is being trained, and decides to save up the $1,000 needed to buy him. She babysits, cleans tack, enters contests, and manages to save up enough to purchase the horse, which the caring staff members at the stable warn her will probably not happen. Bryce has some issues in his life, but they manage to work out in the same way that Lizzie's do-- slowly, and not always the way that they imagine to be best. Strengths: The family's reasons for moving to the shelter are well explained, but I also liked the mother's explanation (as well as the author's notes at the back) that everyone was there because they hit a rough patch of some sort. We are seeing more middle grade literature featuring homeless and home insecure families, but since the stories are all different, we can always use more. Bauer's Almost Home, Sarno's Just Under the Clouds, Nielsen's No Fixed Address, Messner's The Exact Location of Home, Balliet's Hold Fast, and the upcoming Cameron's Maybe a Mermaid, Knowle's Where the Heart Is, Pyron's Stay and Armtrong's Roam are all good depictions of different types of families in transition. Weaknesses: The cover and title are very reminiscent of 1980-90s fiction, but since my equestrian readers often rely on books from that era, they won't be bothered. What I really think: I liked this much better than this author's Swing Sideways or Georgia Rules. It's far more hopeful, and having much of the action take place at a stables is brilliant. I need about five new horse books every year to keep up with periodic readers who will read nothing but horse books! Meena is an artistic, exuberant elementary school student who has a great, supportive family, kindergarten sister Rosie, and cousin Eli who is in her class at school. Ever since winter break, though, her best friend Sofía has been a bit cold to her, and she's not sure why. This worry is soon eclipsed by the increasingly weird feelings Meena has-- she blacks out and scribbles on her assignment in school, she zones out with her cousin, and eventually has a seizure at home in the kitchen. When she comes to, she is in the hospital, and tests need to be run. Back at home, her parents are overly concerned and don't want her to do anything unaccompanied until they find out more about her condition. Meena is concerned, but tries to channel her worry into making the best Valentine box in her class, using found candy wrappers and other objects. More tests and doctor's appointments are in the works, and an X-Ray reveals a spot in Meena's brain. This is certainly scary, although the doctor doesn't think it is too serious, but orders an MRI. Meena's worry is compounded by escalating fighting with Sofía and concern about Valentine's Day, and her behavior is not the best as she tries to deal with these things. Eventually, the doctor decides that her seizures might respond to medication, and she feels relieved to be able to form a new reality. 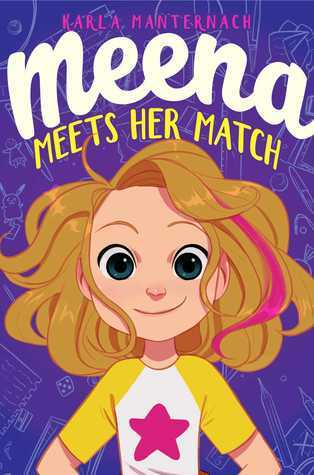 Strengths: There are very few books about children dealing with chronic but not life threatening health problems, and this book, based on the author's experience with her own daughter, brilliantly portrayed the process of trying to diagnose a seizure disorder. The problems with friends, the temper, the sadness-- all are realistically done. 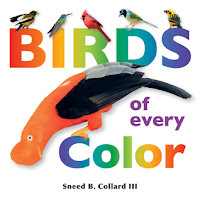 Like Belford's Another D for Deedee, or the Morrises' Mustaches for Maddie, it's an entertaining book that also will help young readers be empathetic about the plights of others. Weaknesses: Meena is in about third or fourth grade, and everything about her seems really young to the middle school mind. The way she's fighting with her friend, her Valentine's box, the things she does in school, even how she gets along with her parents. This is not really a weakness, but it makes it not quite right for my students. What I really think: I think I'll pass on this, but I'd love to see one with a more middle school focus! AJ's parents have developmental disabilities. His mother works stocking shelves at a grocery store, but his father finds it hard to leave the house and spends most of the time in the garden. His grandfather had lived down the street, and cared for the family, but recently died of a heart attack after running with AJ. AJ's aunt, Josephine, also lives nearby with his cousin Aisha, but she is expecting a baby and AJ doesn't want to bother her. Things are not going as smoothly as AJ would like since his grandfather's death-- there isn't as much food, bills are not paid, and there aren't coins for the electric meter. Wen AJ goes to try out for the track team, he finds that his running shoes are too small, and he doesn't want to ask for new ones. Luckily, the coach figures out his plight and lets him have a pair from the lost and found, but when money becomes even tighter, AJ pawns these. His mother will occasionally go to school programs, but AJ is embarrassed by her, and is afraid that if the school finds out his grandfather is not around, he might have to go into foster care. AJ does his best to keep his family together, but eventually must ask for help. Strengths: Like this author's Little Bits of Sky, this is a sympathetic but unsparingly portrait of a child in crisis. AJ doesn't want to ask for help, and tries to do everything himself, but eventually does seek help from his aunt. His relationship with his young cousin is very sweet. The coach and teachers are all sympathetic, but don't have the information they need to really help until the end of the book, and then they step up, as does the aunt. 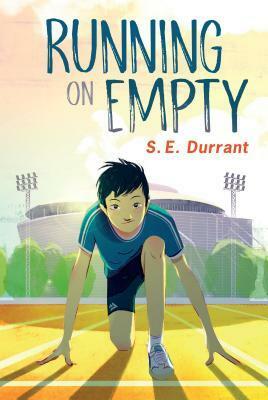 A good choice for readers who want books about children trying to survive more or less on their own. Weaknesses: This has some British phrases and topics (trainers, biscuits, the coin operated electric system) that my students might not understand, but I thought it was great that AJ found a teapot in the neighbor's trash and brought it home, complete with cups that the homeowner brought out for him. Is it sad that I frequently talk to people about their trash and take some of it home with me? What I really think: I wish this had a LOT more running in it, because that would entice readers to pick it up. Titles like Currinder's Full Tilt or Fry's Losing It do a good job of combining sports with a problem. Fans of stories about children in crisis will like this one, but I'm afraid sports fans may not finish. While the Nike story is one that has been told many times (once by Phil Knight himself, in Shoe Dog), this new book delves more deeply into the business aspects or an entrepreneurial enterprise and is a great middle ground between a memoir like Shoe Dog and the very short "business biographies" that are around. The From an Idea series (which includes From an Idea to Disney) really focuses on what makes a business happen; there has to be a need, a solution, a business plan, and people who are truly dedicated to pulling all of those things together. The Nike story is a particularly good example of all of these things coming together, and Sichol is good about showing how things went right or wrong at every important juncture. While everyone knows the story of Bill Bowerman's ruined waffle iron, I wasn't aware of Reebok's momentary trouncing of Nike in the field of aerobics shoes! There is more information about sponsorships, covering athletes like Steve Prefontaine, Tiger Woods, Lance Armstrong, and of course, Michael Jordan. There's a great timeline at the back of the book, as well as a great bibliography and notes on sources. The only thing this doesn't have that would make it even better is actual photographs of the people, products and ads involved. I'm sure that would be a huge headache, and Jennings' illustrations are fantastic, but students today are used to seeing photographs. 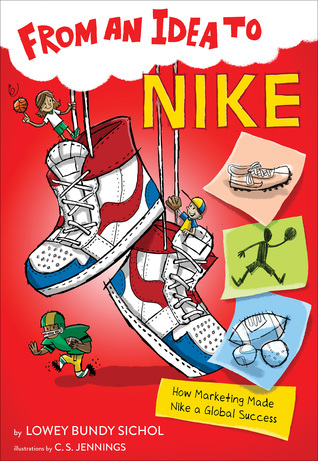 Readers interested in businesses, sports, or just tennis shoes will find From Idea to Nike to be an amusing, fast-paced read that will also teach them some business practices, even if they aren't paying attention! 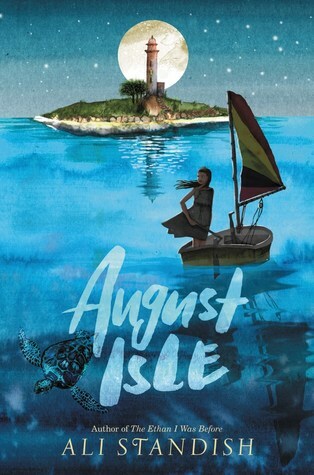 Miranda has always wanted to visit August Isle, where her mother spent her childhood summers. 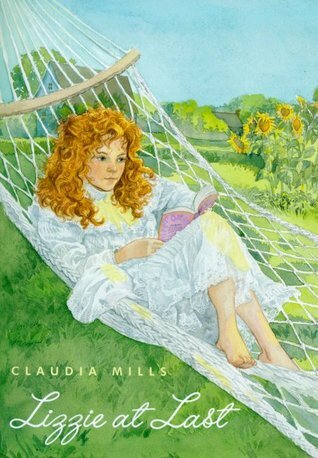 Her mother's friend, Clare, is still there with her family, and when business takes both of her parents away for the summer, Miranda is sent to stay with Clare. 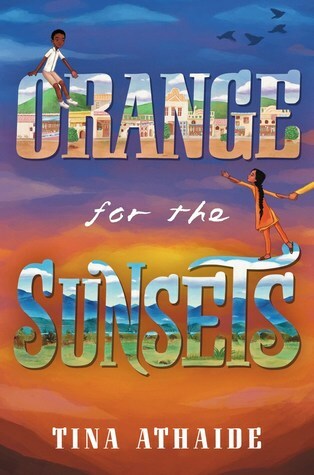 Clare's daughter, Sameera, is immediately welcoming, but Miranda thinks her mother wants to not have to be around her, and she always imagined being on the island WITH her mother. Clare has signed the girls up for sailing lessons, but Miranda is critically afraid of anything to do with the water. On a dare, Miranda, Sammy, and Caleb (who was in sailing with them), go into the local "haunted" house, and are caught by Mr. Taylor, the occupant who has spent many years traveling and collecting treasures. As punishment, Mr. Taylor requires the children to come and help him sort things. While neighbor Betsy knows, the children do not tell Clare. There is also a mystery in a local lighthouse, but Clare forbids the children from going there, and Miranda is also curious about a friend of her mother's named Ben, but can find no information about him. Miranda tries to overcome her fears and to find out more information about her past. Strengths: This was certainly a bit cheerier than this author's The Ethan I Was Before, and the August Isle setting was nice. Sameera's occasional struggles with being Indian in a predominately white community were integrated well. Mr. Taylor's history was interesting, even if the children visiting him without telling Clare bothered me a bit. For the sake of the plot, she had to be unaware. Weaknesses: Miranda's struggles with her relationship with her mother went on too long, was never resolved all that well, and given the spoiler, probably would never be fixed completely. There was a relationship that was much too coincidental for my liking. What I really think: The Ethan I Was Before does not circulate well, and given the number of similar books coming out (children visit relative/friend in exotic place and find horrible family secret, like Always a Mermaid and Caterpillar Summer), I think I'll pass. Allie gets tickets to Game On Con because of her previous coding experiences, and wants her friend from coding camp, Courtney, to visit and go with her. The plane ticket is very expensive, so both sets of parents say no. 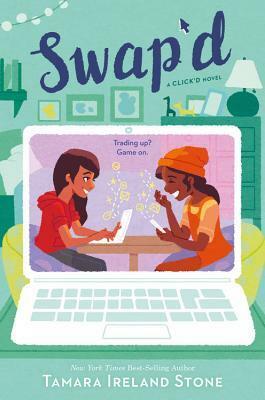 When a school assignment to recycle code ends with Allie creating a Swap'd app that enables students in her school to trade and sell items, giving her a 10% cut, she thinks that this is a great way to save the money. The app does well, and business is brisk. Allie and her friend Nathan find a way to make it all work... until it doesn't. Allie has to give back the money, and this makes her visit with Courtney seem unlikely. Will the two coders be able to work things out? Strengths: Allie and Courtney are good friends, and it's interesting to see how they are able to sustain a long distance relationship. I liked that they were trying to fund their own adventures, even if they were VERY expensive. The app building and the business seemed realistic, although I did particularly think it good that a teacher finally realized they were doing something against school rules and made them undo their work. A pleasant, entertaining read. Weaknesses: I knew that commerce at school was not going to be allowed, so I was a bit uncomfortable through the whole book! 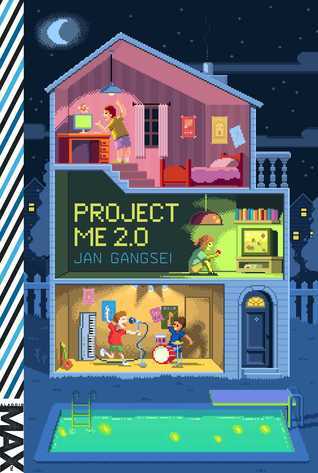 What I really think: Will purchase, since the first book (Click'd) circulates well, and it's always interesting to read about Kids Doing Things, especially when it's with computers, since those skills might actually translate into jobs! Wyatt's parents run the Lincoln Slept Here bed and breakfast in Lincolnville, Oregon. Business isn't great, so they try to supplement their income by selling reproduction documents and having special events, but it's still a struggle. Wyatt's mom works for the mayor, whose son Johnathon is consistently nasty to Wyatt. His favorite insults tend to center around "sissies", and since Wyatt is Gay but closeted, this is extremely hurtful. To try to ward off comments like this, Wyatt publicly kisses his best friend, Mackenzie, in a hall at school. This makes her very happy, since she has always had a crush on Wyatt, makes him mom and dad happy, since they also like Mackenzie, and slows down the comments a little, but is extremely uncomfortable for Wyatt. When his class goes to the public library to start a 9th grade history project on Abraham Lincoln (partly in preparation for the town's annual Valentine's Day "Abe and Mary: A Great Love" celebration, the librarian, Mr. Guzman, hands a very old book to Wyatt and tells him he might be surprised at how interesting Lincoln can be. In the book, letters from Lincoln to Joshua Fry Speed are reproduced. Speed had offered to share his room, and his bed, with Lincoln when he was a struggling young lawyer, and the two lived together for four years. When Speed got engaged to a woman, Lincoln wrote him an impassioned letter asking if he really felt that this was the right course of actions, and shortly after Speed married, Lincoln married Mary Todd. Wyatt posts this information on the school blog he is supposed to do, and the information eventually gets picked up by the national news. This starts all sorts of trouble-- the library asks for the book back, the blog is supposed to be taken down but is reposted on another server, and the family business is in jeopardy. Wyatt agrees to appear on a right wing talk show, the Von Lawson Report, to discuss the matter, but the host is incredibly cruel, and the family business is put in jeopardy. So is Wyatt's mother's job, since the mayor is none too happy about the publicity for the town. Enter a Civil Rights lawyer and her very cute son, Martin. Martin is Gay and not ashamed of it, and this adds a new dimension to the fight. Martin helps Wyatt navigate the social media waters and deal with the negative comments, and the two think about starting a relationship but know that it is not a great time. Eventually, the LGBTQIA+ community embraces the news about Lincoln, and makes Lincolnville's Valentine's celebration a destination vacation, which helps the hotel, and gives Wyatt space to come out to his family. Strengths: I am always looking for LGBTQIA+ books that don't involve drinking or high school level romance, and this is perfect. Bonus points for having a mystery plot that is not about Wyatt's coming out! There's certainly room for books like that, but it's not the only story that Gay kids have. Wyatt's relationship with Mackenzie is well done, and her range of emotions is understandable and realistically portrayed. Johnathon is a typical, unenlightened high school jock, but he does come around late in the book. Mr. Guzman is a great example of a librarian who knows his patrons and looks out for them, and his declaration that he's on Wyatt's side and wants him to know that things get better, without actually saying much more than that, was fantastic. The historical notes on the actual letters of Lincoln and Speed are complete, and it would be interesting to have a nonfiction book on this topic. This is a much purchase for high school, middle school, and public libraries everywhere! Weaknesses: I must live in a fortunate bubble-- our school system had an openly Gay superintendent, my principal for many years was Gay, and no one has ever made a big deal out of it. This made the issue of the community being upset by the assertion that Lincoln was Gay seem a little unrealistic to me, and it's just sad that there are places in the world where this is the reality. What I really think: Definitely purchasing, and hoping that Mr. Wind doesn't experience the problems he had in publishing this book with any future titles. ! 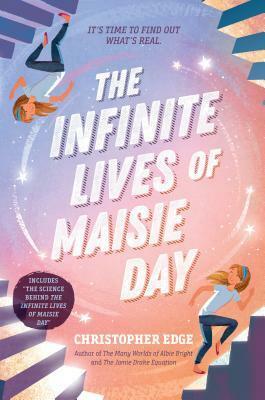 What I really think: This read more like a short story, so will be good for students who really like science fiction or who are being forced to read it but don't like it. It may take some explaining to get students to pick it up and stick with it, but I'm definitely purchasing a copy, since it was extremely clever, and had a fair amount of horror (but also sparkly birthday trappings). Asha's family has lived in Uganda for many years. Her father works with the department of tourism, her mother is a nurse, and Asha enjoys going to school in a mainly Indian school. She is best friends with Yesofu, who is African and whose mother works for Asha's family. As the two get older, Yesofu starts to realize the disparities in the way Indians and Africans are treated; for example, on their soccer team, Yesofu gets little playing time even though he is one of the best players. When Idi Amin comes to power, the social construct comes into question. When Uganda was under British rule in the 1880s, Indian workers were brought in to help build railways. Many stayed, and they ended up being in a social strata below the British, who held power, and the Ugandas, who were shut out of many jobs. Amin doesn't like this, and wants to return "Africa to the Africans". This means that Indians must leave the country. The exact parameters of this changed; at first, Asha's family thinks they can stay because they have protected jobs, but soon even those residents who are citizens are forced out. Not only that, but to "help" the economy, the Indians leaving are not allowed to take most of their money with them, and must sell their properties to the government. Asha doesn't want to leave, and when she sees her father making plans, takes the family's passports and hides them. As the clock ticks down, many of her friends leave, businesses stand empty, and protests and riots against the Indians become more frequent. Yesofu loves Asha, but he also sees that his people have fewer opportunities than hers, and begins to support Dada Amin. When an indiscretion on the part of Asha and Yesofu causes the arrest of Asha's father, Asha and her mother know that they must leave their beloved homeland even though they don't want to. Strengths: This was an excellent mix of daily life, politics, friendship and suspense. It also covers a point in history of which I was completely ignorant, since I started reading the newspaper in 1974, when Nixon resigned. It managed to realistically portray both Asha's feelings of anger and disbelief at being displaced from her home and also Yesofu's feelings of injustice in equally sympathetic terms. The author left Uganda as a young child, and drew upon conversations with friends and relatives who remembered this event, which makes it all the more impressive that she was able to give Yesofu's concerns voice. Weaknesses: There were a few moments were it felt like I had heard Asha's complaints before, but that probably bothered me only because I really, really wanted to know what happened next! 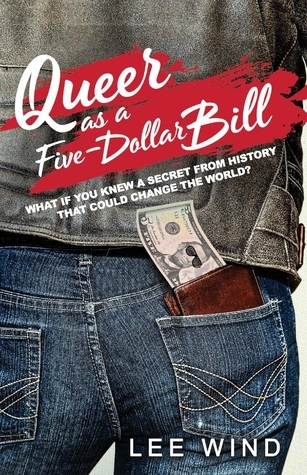 What I really think: Definitely purchasing, and glad to have this to add to a collection of riveting novels set around the world, like Amal Unbound, The Night Diary, Everlasting Nora, The Bridge Home, Running on the Roof of the World, and Stand on the Sky. My 85-year-old father buys Aunt Jemima scrambled egg breakfasts because his home economics education was so sorely lacking that the only two things he can cook are chili and beef stew. Don't let this happen to the children in your life! 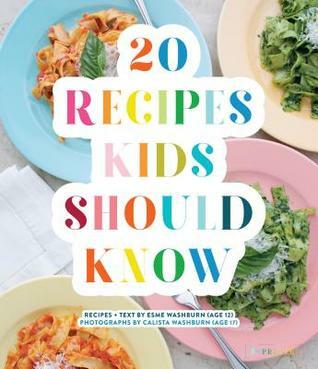 This cookbook starts with basic terms and information that all young cooks need, and I appreciated that the author cited the sources of some of her recipes in the notes. The instructions are very complete, which is suitable to beginning cooks, and the measurements are given in both English and Metric amounts. This is a large format book (9.8 x 0.4 x 11.3 inches), so there are large illustrations of the finished products. I'm a sucker for cookbooks, and if this weren't so appealing and colorful, I would probably give it to my father instead of offering it to students in my library. There's hope for them; for my father, not so much! In 1958, Ruth and her family relocate from New York City to a suburb of Atlanta after the death of her father. Her family runs the local newspaper, so her mother goes to work as a society writer while Ruth and her younger sister stay in their grandparents' cottage. Fontaine, her grandmother, is very eager for Ruth to be part of the debutante scene, since both she and Ruth's mother were Magnolia Queens back in the day. Ruth isn't wild about wearing tea dresses and listening to the girls speculate about her background, but she wants a social life, and some of the girls aren't bad. The problem? Ruth's father was Jewish, her mother converted, and Atlanta society at the time did NOT accept Jewish members! 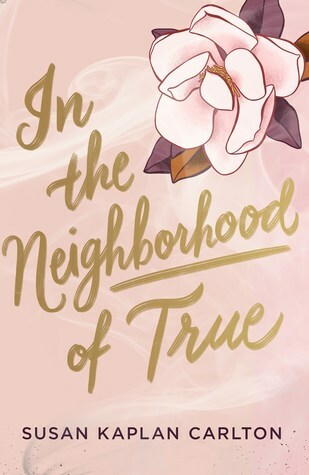 Fontaine says just to keep it quiet, but as social unrest starts to grow during the long, hot summer, Ruth starts to question her grandmother's views. She starts attending synagogue and meets Max, who is working with social justice programs, but she also meets the more traditional Davis, who is cute, popular, and likes her a lot. When the synagogue is bombed, Ruth starts to question her status even more, especially when she suspects that Davis' brother might have a connection to it. Strengths: This did an excellent job of channeling teen novels of the 1950s (I have quite the collection, so I know this! ), down to the pastel tea dresses and bouffant hair dos. It reminded me a little of Cavanna's Jenny Kimura. The real brilliance of this, however, is the inclusion of more problematic material. I loved that the debs had flasks of Southern Comfort in their handbags, that the back biting is more than just over who doesn't where cashmere sweaters, and that we have a New York view of Southern life at the time. Ruth's desire to pass is completely understandable, but so is her realization that this isn't really going to work. Very interesting book about civil rights in the mid twentieth century, but also a very timely story as well. Weaknesses: While I understand that a huge plot point hinges on the fact that Ruth spent the night with Davis, this (combined with the drinking) pushes it over into the Young Adult section. I would have thought that Ruth's family would have been HUGELY upset about her fall from virtue, but that isn't mentioned very much. Yes, other things are going on, but the fact that her granddaughter spent the night with a boy would surely have sent Fontaine to bed with the vapors for days. What I really think: I won't be purchasing it for middle school, but would definitely be glad to have this in a high school collection.